Yesterday my Mum had the day off from work and because the weather was so beautiful we decided to take a drive to a nearby quaint little town called Woodhall Spa. 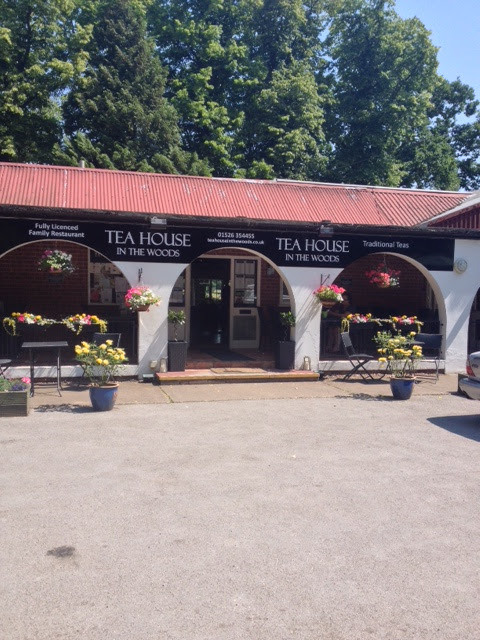 We were planning on going swimming in the outdoor pool but the queue was enormous so we went for a wander around the shops and then to this little Tea Rooms hidden away in the woods. It brought back some wonderful memories as my Mum used to bring me here when I was a really little girl, and we ordered what we did all those years ago! 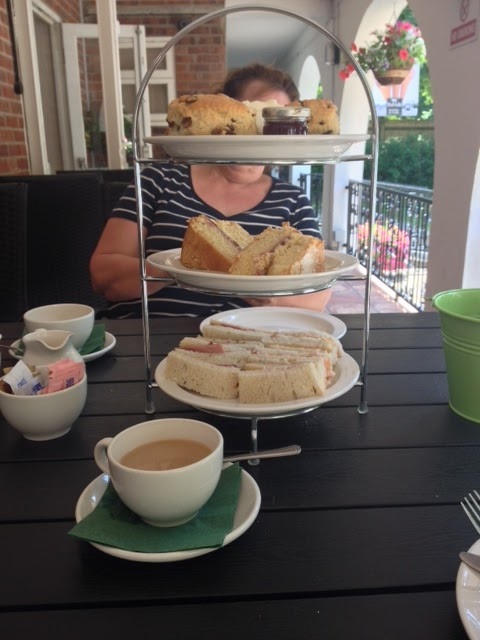 The Afternoon Tea was so yummy and we enjoyed sitting in the shade watching the world go by and enjoying being surrounded by nature. There is also a tiny old-fashioned cinema nearby where we used to go, but didn't really have time today. So if you live in the area I would definitely recommend checking out both, I think it would be sooo cute as a date night idea! I can't believe how hot it has been! I enjoyed wearing my new summer clothes but I am so sunburnt it is unbelievable! My knees are red raw and I've genuinely had ice packs on my legs the entire time I've been home. How have you been enjoying the heatwave?